What if the bomb had actually been dropped? 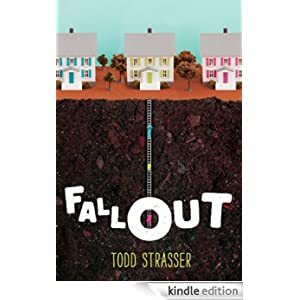 In the summer of 1962, the possibility of nuclear war is all anyone talks about, so Scott’s dad builds a bomb shelter to hold his family and stocks it with just enough supplies to keep the four of them alive for two critical weeks. In the middle of the night in late October, when the unthinkable happens, the same neighbors who scoffed at building a shelter themselves force their way into the shelter before Scott’s dad can shut the door. This historical fiction novel is for readers in grades 5-8 and is selling for $1.99 today.